Amber’s powerful, life-changing message will captivate, motivate & activate your audience to stop waiting and start moving in the direction of their dreams. Create an experience that IGNITES an awakening. passionate soul on a mission. 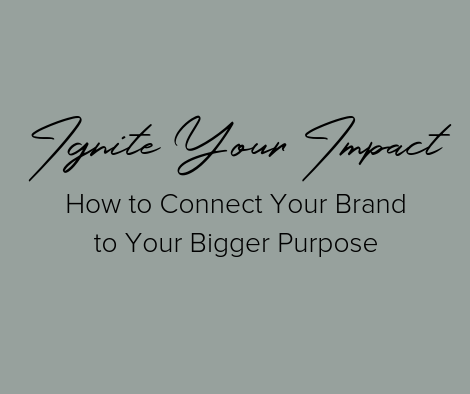 Amber's mission is to empower women to position themselves as sought-after experts and thought leaders through the creation of an online brand presence. Her transformational mindset work sets her apart in an industry focused on a strategy-first, inner work later approach. She’s worked with thousands of women worldwide building a seven-figure business from home, while also homeschooling her daughter with her husband and business partner, Ben. Transformational Mindset Coach and Branding Expert Amber Lilyestrom will take attendees on a journey of refocusing and clarifying their core message to align more deeply with the ways they are showing up in their business. From the mindset work to the brand strategy that Amber has used to build a seven-figure business, she will share the keys to connecting with dream clients while navigating the ever-changing landscape of sales and marketing. Amber has helped thousands of women worldwide build heart-centered brands and thriving businesses reach their first five-figure months, launch podcasts, live events and more. Join us for this soul-shifting session to help you live your most successful year in life and business to date! In this bonus Q&A session, Amber will answer all your burning questions from mindset to motherhood, marketing to making stuff happen! This additional session is included with your registration and will be from 2:15 to 3:00 p.m.
Design a life and business that is simple, authentic and joyful. Experience 8 extraordinary Visionaries LIVE from Fort Lauderdale for 2-days in a loving and supportive environment. The inspiration, guidance, and tools you’ll receive this weekend will propel you forward in fulfilling your Purpose, bringing forth those burning Desires that you’ve held deep inside, and create the insight you need to Reignite Your Light so you can manifest the Life you’ve always wanted. There is nothing more powerful than the human connection. Be a part of this spirit family and let your heart be reignited. "Amber provides inspiration to all women who have a dream or need to make a change in their life. Her own life's story of choosing to quit her corporate career and successfully pursue her own business confirms that if you have a dream, listen to your heart, make a plan and take action. Amber's story confirms: Life is too short. Live the life that makes you happy." "I heard Amber speak in November 2014 at the NH Conference for Women. Her heartfelt talk connected with so many in the room, myself included. I proceeded to watch several of her videos online had have since had the opportunity to meet her in person. Amber truly cares for helping women create the life and business they deserve. She’s motivating, caring and as genuine as they come. " bring AMber to YOUR NEXT EVENT! have a specific topic you need covered? we’ve got you…Amber tailors each talk based on the specific needs of your audience.